Our collaboration with a leading obstetrics and gynecology practice in a major East Coast metropolitan region demonstrates that the Marketing Works approach to branding extends far deeper than external representations like logos, tag lines, and color palettes. The client wanted patients to view them as the clear choice for up-to-date, comprehensive medical care throughout a woman’s lifespan. Their leadership team was aware of inconsistencies in customer service, operations, and brand perception. However, they didn’t understand how those factors were impacting their business. Marketing Works collaborated with them on a comprehensive evaluation that included an in-depth assessment of their operations, patient experience, and external brand representation. Insight. Research for the initial assessment uncovered major customer service issues related to the triage department, aspects of front desk and scheduling interactions that needed improvement, and instances of staff attitudes that were not aligned with what the practice wanted to stand for. Solution. Based on findings and recommendations in the assessment report, Marketing Works helped the client make significant personnel and operational changes. This included revamping triage operations for more efficient, timely, and patient-friendly management of calls, developing a brand promise and customer service standards, and conducting in-depth customer service training that equipped associates with the tools they needed to support the practice brand and growth. Once the client was positioned to deliver on renewed promises, Marketing Works collaborated with them on creating a branded look that pulled everything together and told their new story in compelling ways, including a new logo, color palette, graphic identity standards, branded facility décor and attire, and a Web site that integrated their new brand messaging and visual identity. An ongoing patient feedback program was developed to ensure continuous monitoring and improvement. As changes were implemented and the brand was rolled out, success was demonstrated through the client’s achievement of a more cohesive culture and operations. The enhanced brand representation and patient experience bolstered their ability to attract and retain patients. Ongoing monitoring, training, and coaching of the team supported long-term success by helping the client maintain the consistency and vitality of their renewed operational and cultural approaches. Feeling the need for your own brand and cultural makeover? 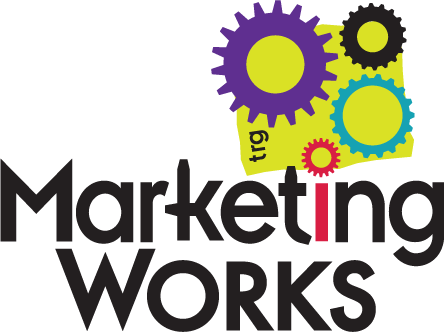 Contact Tom Vranich at tvranich@marketingworks.net, or call 717-852-7171. We’ll schedule a time to learn about your practice, brand and culture and then develop customized recommendations for your long-term growth.